Document .Net does not natively store the concept of pages. However, it is often necessary to store information about a page or group of pages with their setup. For this purpose, there is a Section notion. You may find the Section node at the Document Tree Structure to understand its purpose. 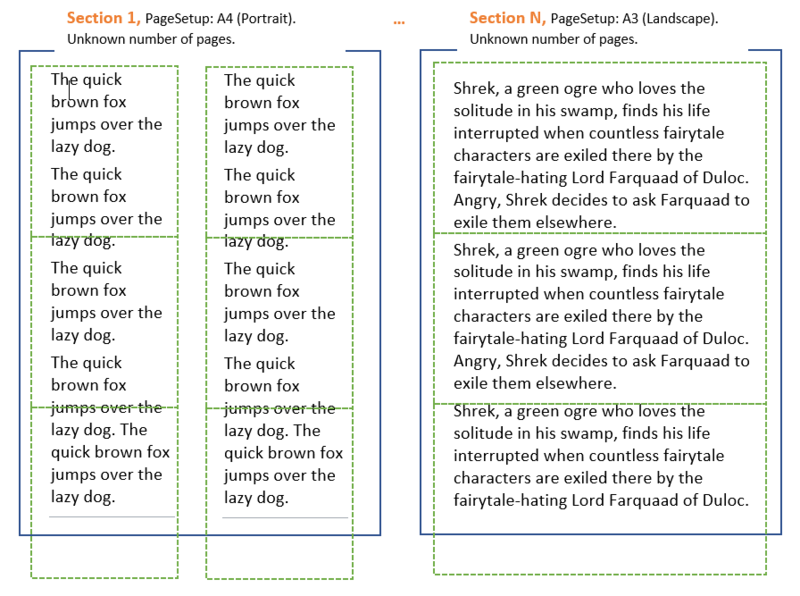 Document .Net can divide the document into pages, this process names Pagination. Pagination is the process of dividing a document into discrete pages. Thus, after the Pagination process you will know the number of pages in the document and where the specific content is placed. It can be helpful in creation of a document viewer application, printing, rasterizing etc. /// Creates a document with different sections. // Let's create a simple document with two Sections. // First Section, A4 - Portrait. // Add some text into section 1. // Second Section, Letter - Landscape. // Add some text into section 2.
''' 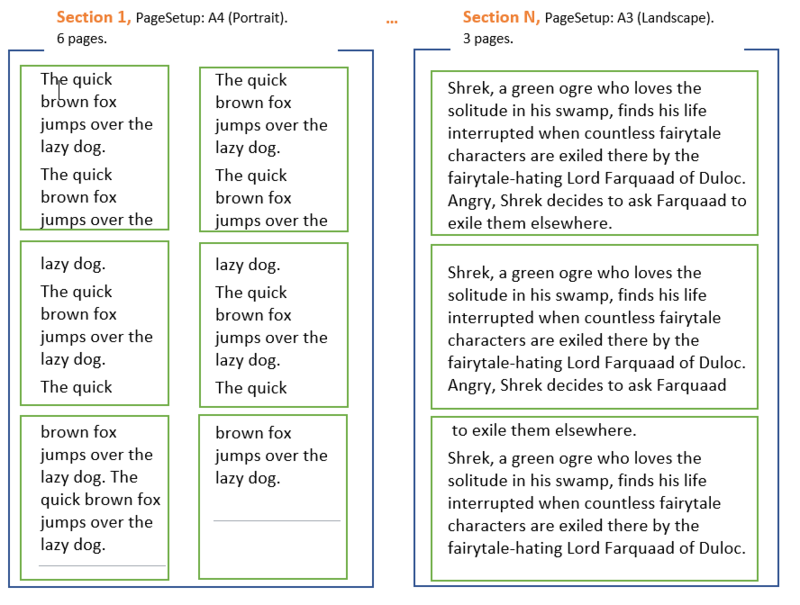 Creates a document with different sections. Dim documentPath As String = "Sections.docx"
' Let's create a simple document with two Sections.
' First Section, A4 - Portrait.
' Add some text into section 1.
' Second Section, Letter - Landscape.
' Add some text into section 2.